“Apparently aliens are landing in New York City right now bcs the sky’s blue,” wrote another. In this trying time, some saw the hand of God at work: “Don’t worry, New Yorkers. The blue light you saw in the sky was just the Rapture,” one tweet said. “The incident is under control. There are no injuries reported, and no fire,” the fire department said. 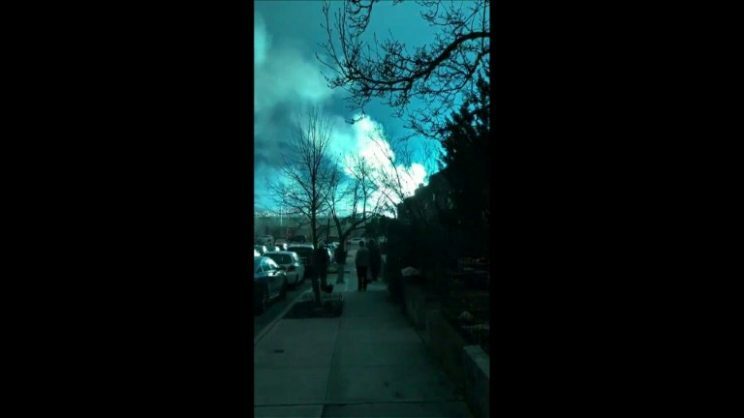 “I wish the blue sky in New York was aliens and not a power plant on fire,” one Twitter user wrote.